Drawing on their long experience in the fields of industry and material science, Olympus provides many clear-cut solutions making electronic device inspections easier, quicker and more efficient. The MX61/MX61L semiconductor inspection microscopes have been developed specifically to meet the demands of wafer inspection. 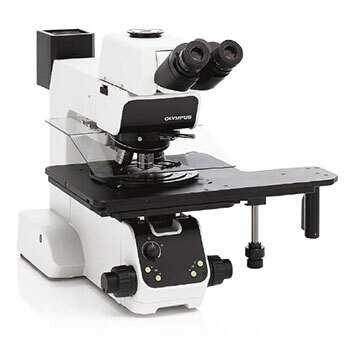 These user-friendly microscopes allow operators to work in an ergonomically correct position and benefit from smoother operation throughout extended inspection periods. Productivity and integration of the instruments into the work area are, thereby, maximised.